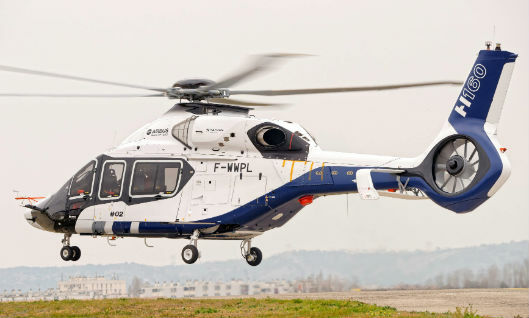 The H160’s second prototype recently took off in Marignane, kicking off a busy 2016 for the H160 as it pursues its flight test program with two prototypes. “After a very busy year 2015 in terms of flight activities, introducing PT2 is an important step in the H160 development as we will launch performance testing with the Turbomeca Arrano engines,” said Bernard Fujarski, head of the H160 Program. “The development program will benefit from five development aircraft; two helicopter zeros and three flying prototypes will be paving the way to entry into service in 2018,” he added.